Small photo, upper left: Father preparing for daily Mass with his faithful acolyte Evelyn Benoit, who is featured in the episode. 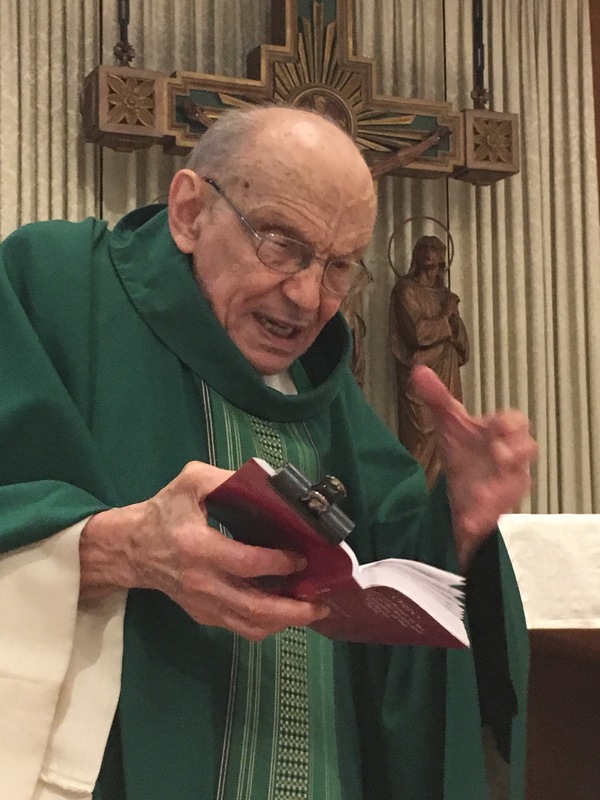 Father John, the beloved rabble-rousing Passionist priest who preached daily Mass and led retreats at Holy Family Monastery and Retreat Center in West Hartford, was the inaugural guest of “Reasonably Catholic: Keeping the Faith” in 2012 and an occasional guest since then. 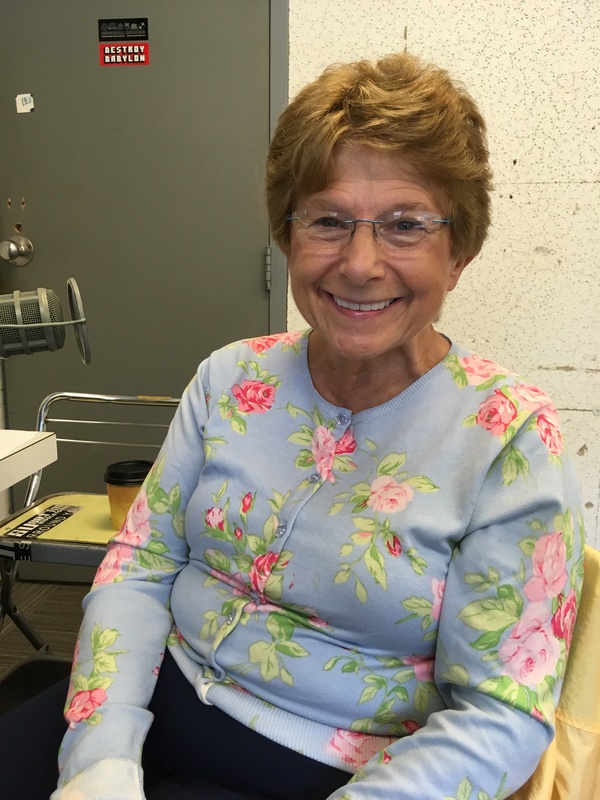 Retired nurse Mary Lou Connors tells about her volunteer work with the poor in Haiti, with refugees in Hartford, with incarcerated women in Niantic, and as a eucharistic minister at a nursing home. 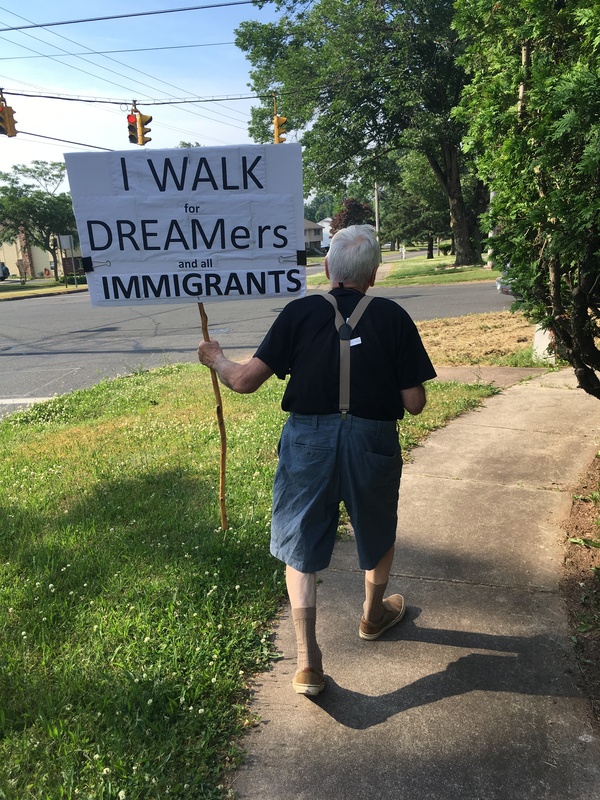 Also, save the date: Walking with Al for Immigrants. Al Dornan, who’s been walking 2.2 miles through his Wethersfield neighborhood every day since the beginning of the year, will take his walk to Hartford from 2 to 4 p.m. on Sunday, Oct. 21, starting at the Ribicoff Federal Building, 450 Main St.
Cody Guarnieri is a lawyer with the Hartford firm of Brown, Paindiris and Scott. He writes a regular column for the Archdiocese of Hartford’s Catholic Transcript and was instrumental in reviving the Red Mass, a celebration for people in the legal profession and others interested in justice. The Mass, to be said by the archbishop, will take place at noon on Oct. 10 at St. Patrick-St. Anthony Church. I had arrived at Superior Court in Hartford early. The judicial marshals hadn’t unlocked the doors to the courthouse yet, but already there was a line forming at the entrance. Standing in line is a waste of time, and wasting time is a mortal sin in the practice of law. I decided that this was as good a time as any to try my hand at praying the rosary. Of course, I’ve recited the rosary before, but I’m not particularly good at it and, admittedly, I don’t do it very often. Nevertheless, I keep a rosary around the rearview mirror for the same reason as many Catholics: to remind me not to use the middle finger or yell obscenities while driving. As I started saying the rosary, I noticed a man walking around near the courthouse. He was early middle-aged and only marginally unkempt. He was approaching people who were arriving to court or otherwise milling near the entrance. I could tell from the body language of those he approached that he was asking them for something. I’m a lawyer and in court in Hartford often. I’m also a member of St. Patrick–St. Anthony Parish, also in downtown Hartford. I had seen this man before and recognized him immediately. I knew that he was asking people around the courthouse for money. He tells people that he was arrested recently. That the case against him was dropped and that the marshals had just released him from the courthouse, without his wallet or cell phone. Or he says that the bus from the Hartford Correctional Center had just let him off at the courthouse after having his case dismissed. His tale is one that preys on those who are unfamiliar with the criminal justice system; people who find themselves at court for the first time in their lives or the family members and friends of a defendant are particularly susceptible to his story. His appearance is just clean enough and his account just reasonable enough for it to all seem credible. I don’t think he tells this story intentionally to lawyers at the courthouse. A lawyer would know that the marshals do not just foist people from the courthouse, penniless and destitute, without their possessions. A lawyer would know that the Hartford Correctional Center transport, also run by the judicial marshals, is not a bus that is going to let anyone out and free before they see the judge. Unfortunately, too, many lawyers may have seen enough begging and homelessness around the courthouses that they wouldn’t give this guy 10 seconds for his story. That day, the marshals were running late. As I sat in my car in front of the courthouse, rosary in hand, the man approached me once again. I rolled down my window and let him give me his spiel, yet again. I heard him out and then reminded him that I’ve heard it before, a couple of times. I asked him why he keeps coming around and telling this lie to people. So he tells me another story I’m well-acquainted with too: He is hard on his luck, has a substance abuse issue and is homeless. He’s saving money and is going to turn his life around. His story worked and I gave him a few dollars, but I told him that he needn’t approach me again because that is the only time I will contribute to his cause. Of course, I don’t know what he spent the money on. I hope his second story, about getting his life back on track, was a true one. However, I still see him around on occasion. I don’t know if it is a spiritual or moral necessity to give to beggars in inner cities. I don’t know which, if any, of them actually might be Jesus in disguise, here to test me. However, if you see a beggar and hear his or her story, and it reminds you to say a decade of the rosary and/or contribute to a nonprofit that services the homeless community, perhaps there is a spiritual element to the encounter, after all. 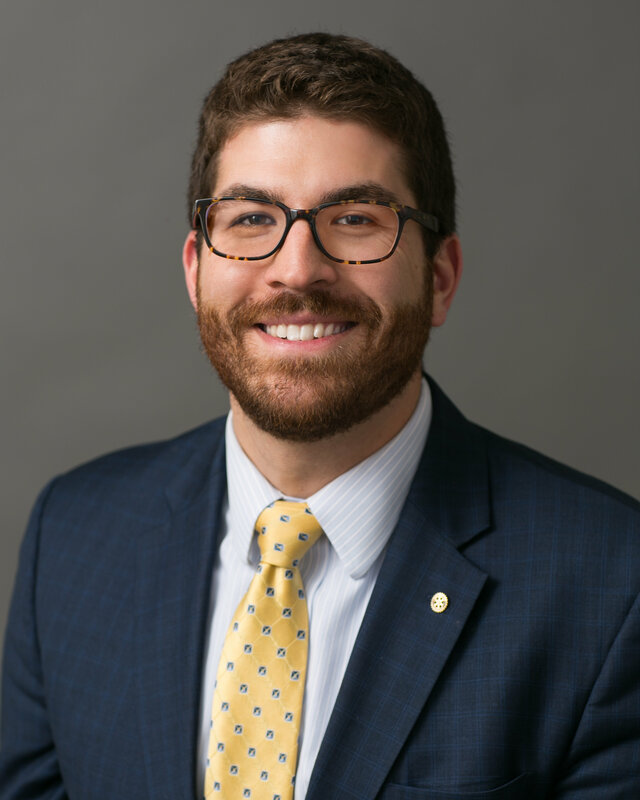 Cody Guarnieri is a criminal defense lawyer with a Hartford law firm and is a member of St. Patrick-St. Anthony Parish in Hartford.